compel arbitration Archives - В сложной финансовой ситуации приходит на помощь кредит наличными в Казахстане. 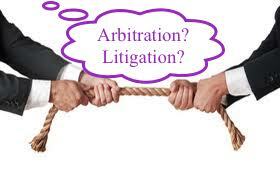 Arbitration is a creature of contract, meaning if you want your disputes to be resolved by arbitration through an arbitrator (as opposed to litigation with a judge and/or jury), you need to include an arbitration provision in your contract. A trial court granting or denying a party’s motion to compel arbitration is a non-final order that is immediately appealable. See Fla.R.App.P. 9.130(a)(3)(C)(iv). Courts have recognized that this [compelling arbitration] can be appropriate (1) when the signatory’s claims [against the non-party to the contract] allege “substantially interdependent and concerted misconduct” by the signatory and the non-signatory or (2) when the claims relate directly to the contract and the signatory is relying on the contract to assert its claims against the non-signatory. Beck Auto Sales, Inc. v. Asbury Jax Ford, LLC, 43 Fla.L.Weekly D1380a (Fla. 1st DCA 2018). However, “even when a non-signatory can rely on equitable estoppel ‘to access [the arbitration] clause,’ the non-signatory can compel arbitration only if the dispute at issue ‘falls within the scope of the arbitration clause.’” Beck Auto Sales, Inc., supra (citation omitted). Even if one of the above equitable estoppel circumstances apply, the non-signatory still will not be able to compel arbitration if the scope of its dispute falls outside of the arbitration provision. An example of the first circumstance was raised in Beck Auto Sales where a car dealership sued its former employee and the former employee’s new dealership/employer for a number of theories relating to their concerted effort to prevent the car dealership from winning a contract with a public entity. The former employee had an employment agreement with the car dealership that included an arbitration provision. The trial court granted arbitration between the car dealership and former employee. The new employer/dealership, a non-signatory to the employment contract, moved to compel the car dealership’s claims against it to arbitration under the employment contract. It argued that the car dealership’s claims against it and the former employee (a signatory to the contract) allege substantially interdependent and concerted misconduct by the former employee (signatory) and it (non-signatory). The problem for the new dealership/employer, however, was that the arbitration provision in the employment contract was limited to disputes between the parties to the arbitration agreement. The scope of the arbitration provision would not cover disputes involving the new dealership/employer; hence, it was unable to take advantage of an equitable estoppel argument to compel arbitration as a non-signatory to the employment contract. 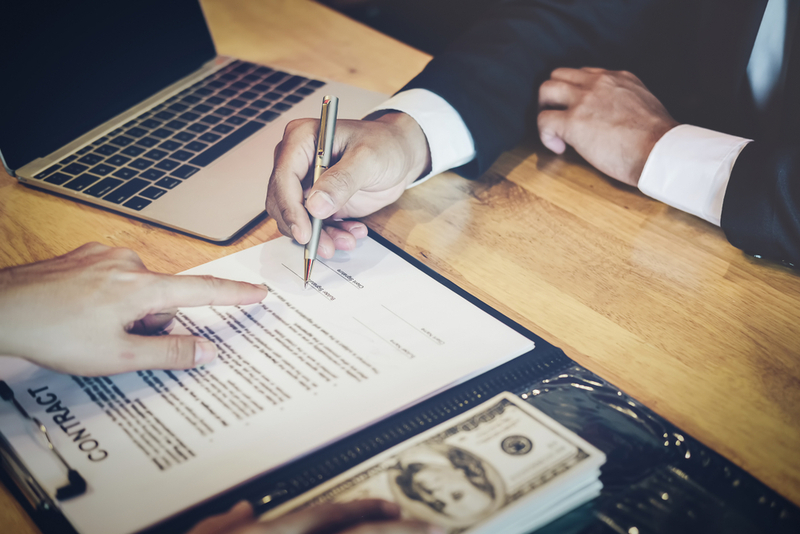 Your contract contains an arbitration provision meaning you are required to arbitrate your dispute instead of litigate your dispute (in court). Nonetheless, your opponent files a lawsuit against you and you move to compel the dispute to arbitration pursuant to the arbitration provision in your contract. But, the trial court denies your motion to compel arbitration based on its interpretation of the arbitration provision. So, what do you do? You file an interlocutory appeal to appeal this ruling since you want to arbitrate your dispute. The appellate standard of review for the construction (interpretation) of an arbitration provision is de novo. See MuniCommerce, LLC v. Navidor, Ltd., 41 Fla. L. Weekly D317b (Fla. 4th DCA 2016) (reversing trial court’s order compelling arbitration based on its construction of arbitration provision).